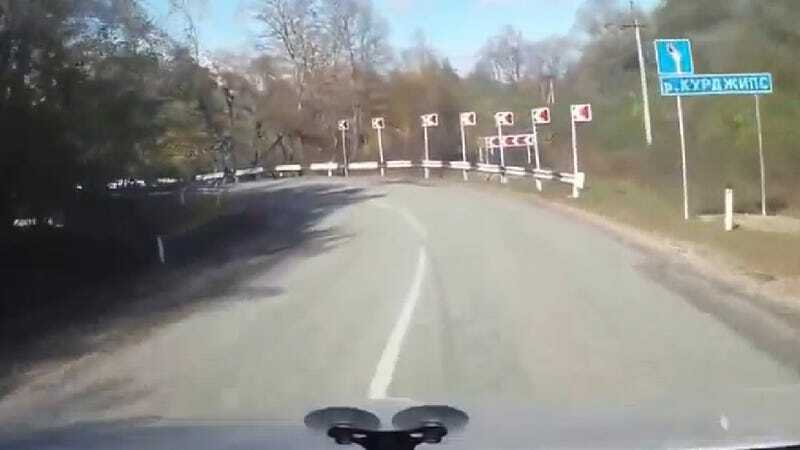 Somehow this Russian driver failed to notice a curve in the road, so now you get to watch exactly what happens when you plow through a guardrail. Amazingly, it appears that everyone in the car ends up okay because they landed (so to speak) right in a river. Even more amazing is how calm they sound. I guess that's just Russia for you.